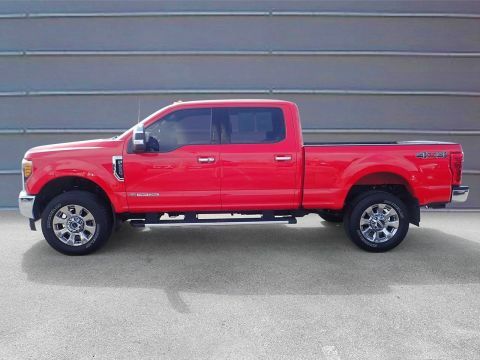 JUST REPRICED FROM $52,489, $3,500 below NADA Retail! 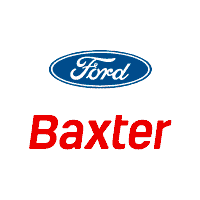 CARFAX 1-Owner, Ford Certified. Heated Leather Seats, Premium Sound System, Back-Up Camera, 4x4, Bluetooth, iPod/MP3 Input, Satellite Radio, Turbo, LARIAT INTERIOR PACKAGE READ MORE!KEY FEATURES INCLUDELeather Seats, Back-Up Camera, Premium Sound System, Satellite Radio, iPod/MP3 Input, Bluetooth, Trailer Hitch, Dual Zone A/C, WiFi Hotspot, Heated Leather Seats. 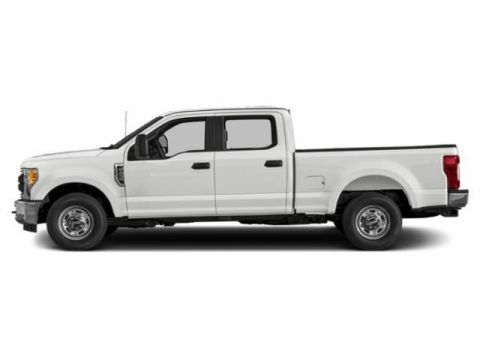 MP3 Player, 4x4, Privacy Glass, Keyless Entry, Steering Wheel Controls.OPTION PACKAGESENGINE: 6.7L POWER STROKE V8 TURBO DIESEL B20 4 valve OHV, manual push-button engine-exhaust braking, GVWR: 11,300 lb Payload Package, 3.31 Axle Ratio, 26 Gallon Fuel Tank, Dual 78-AH 750 CCA Batteries, WHEELS: 20 CHROME CLAD CAST ALUMINUM chrome-clad hub covers/center ornaments, LARIAT INTERIOR PACKAGE Memory PowerScope Trailer Tow Mirrors, Remote Start System, Power Heated/Cooled Passenger Seat, Memory Power Heated/Cooled Driver's Seat, easy-entry/exit memory driver's seat feature, Memory Power Adjustable Pedals, ELECTRONIC LOCKING W/3.55 AXLE RATIO, TRANSMISSION: TORQSHIFT 6-SPEED AUTOMATIC (6.7L) SelectShift, TIRES: LT275/65RX18E BSW A/S (STD).EXPERTS REPORTFrom the moment you fire up the Super Duty's massive gasoline or diesel engine to the time you climb down from the oversize cabin, this truck can make everything else feel small. -KBB.com.AFFORDABLEWas $52,489. 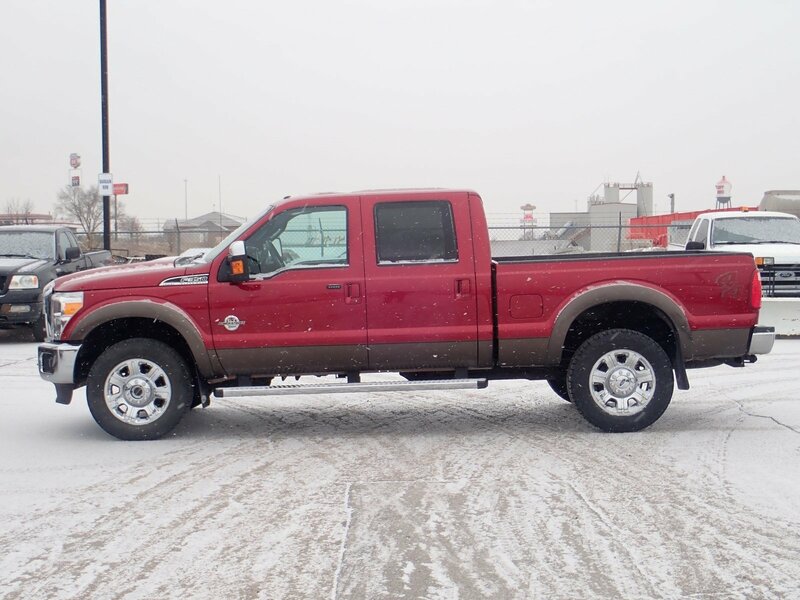 This Super Duty F-350 SRW Pickup is priced $3,500 below NADA Retail.BUY WITH CONFIDENCE172-Point Inspection and Reconditioning, 24-Hour Roadside Assistance, 24-Hour Customer Assistance, 12 months/12,000 miles Comprehensive Limited Warranty Coverage, Rental Car Reimbursement, Vehicle History Report, 7-Year/100,000-Mile Powertrain Limited WarrantyOUR OFFERINGSBaxter Ford South, a full-service Ford dealership in OmahaPricing analysis performed on 4/8/2019. Please confirm the accuracy of the included equipment by calling us prior to purchase.